N estled against a hillside on the eastern outskirts of the capital, there’s a little yellow castle. From the outside it appears to be reminiscent of something you’d find in a European countryside. When you pass through the front door though, all similarities with the northern continent fade away and you are met by the style and ambiance of an African bush safari. Patterns and textures, sculptures and ornaments. 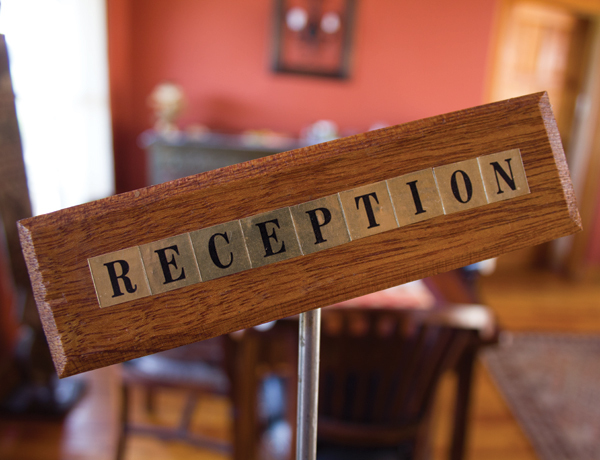 You might think you’ve delved into a turn of the century colonial African outpost. 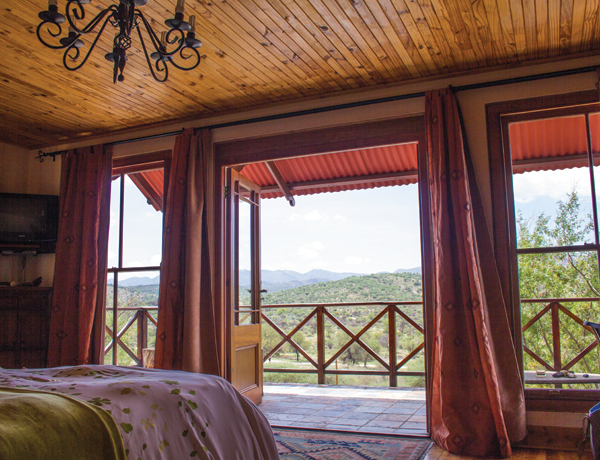 Here, at this hillside would-be castle, a natural haven takes the form of one of Windhoek’s quaintest, and most enigmatic, guesthouses. A peaceful retreat from the bustling urban sprawl. The aptly named Ti Melen, which is Breton for “yellow house”, was built in the 1960s. Today, the picturesque and peaceful house serves as a getaway on the outskirts of Namibia’s capital and busiest city. Ti Melen is the perfect stopover for your first or last night on a tour through the country. It can also serve as a wonderful home away from home for those looking to stay a bit longer, whether for business trips or extended visits to Windhoek. Only five minutes from Windhoek’s city centre and 30 minutes away from Hosea Kutako International Airport, Ti Melen is ideally located in Windhoek’s Avis neighbourhood. Avis Dam is a short 5-minute walk from the guesthouse. Here, visitors can enjoy nature walks, running and mountain-biking trails and hiking, as well as some spectacular birding opportunities. The Southern Masked Weaver (Ploceus velatus) is a fairly widespread bird. The bright yellow plume of the male weaver is a common sight in and around Windhoek. During the breeding months of September to January you will find these fellows feverishly constructing a colony of nests. 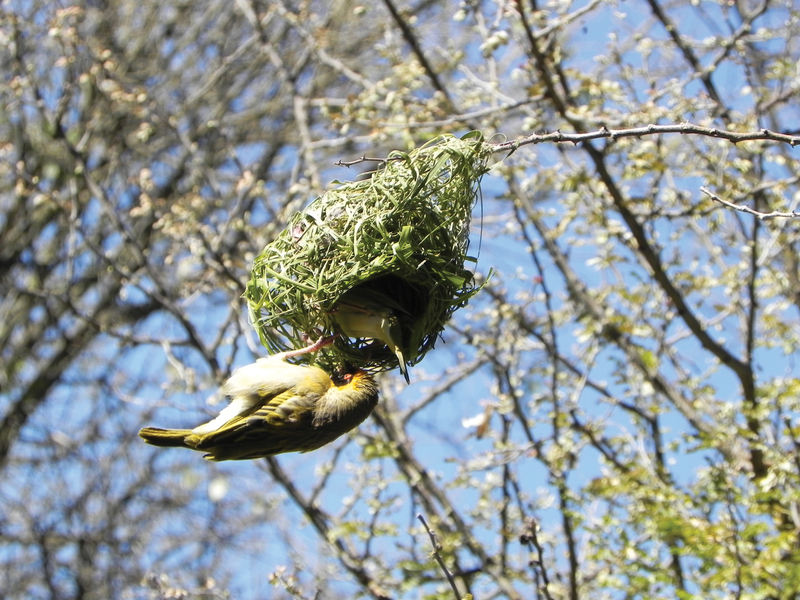 A male Southern Masked Weaver can build up to 25 nests in a season. The nests are woven from grass blades, palm fronds and long leaves or reeds. Keep your eyes peeled for their architectural masterpieces, often found in the acacia trees in and around the garden at Ti Melen. Avis Dam is a popular birding spot in the city, especially when good rains have allowed water to collect in the often dry dam. Take a look at our “Wings to watch for” list to see which lifers to tick off on your visit! With a stunning view from its perch atop the hillside, Ti Melen is a wonderful choice for your next stay in Windhoek. 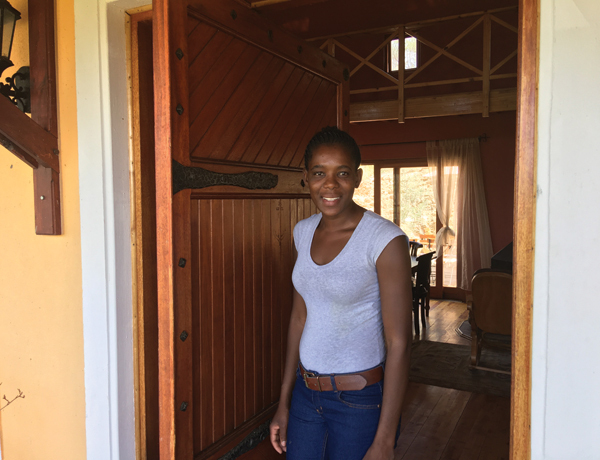 Let manager Elizabeth welcome you with open arms to this warm and friendly African castle, which you’ll find will feel more like home than anywhere you’ve stayed of late! This list was compiled by Pompie Burger, TNN’s resident birder extraordinaire. Pompie has noted that at a bird count some years ago, over 100 birds were identified in a single day… Tick away! Ti Melen has 4 cosy and spacious en suite rooms, a small swimming pool and Jacuzzi, as well as WiFi. The kitchen gladly prepares breakfast, lunch and dinners. Ti Melen is part of Ondili Lodges & Activities. 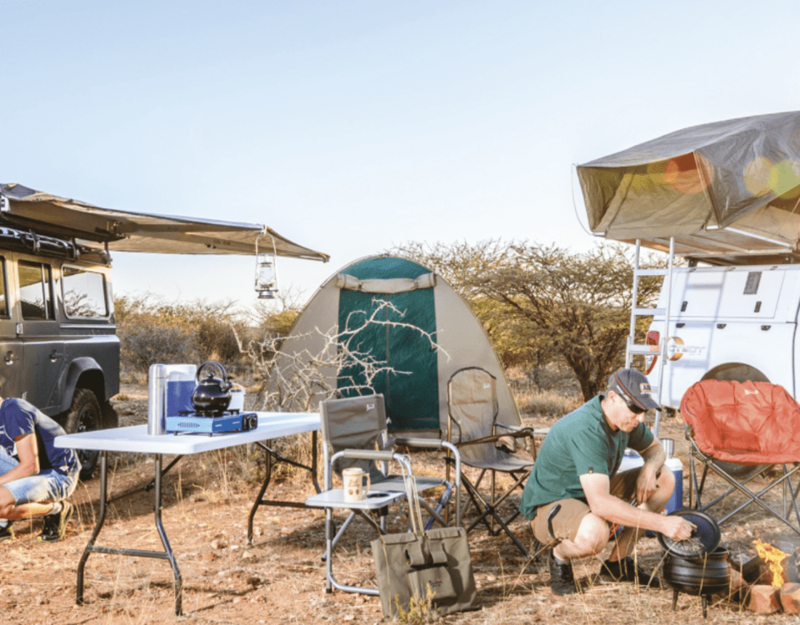 Ondili is one of Namibia’s leading lodge groups, with establishments in the Kalahari, the Namib, the Erongo area as well as Ti Melen in Windhoek. Visit their website at www.ondili.de for more information on these amazing locations and the Ondili lodges to be found there. The name Ti Melen is Breton for “yellow house”. Breton is a language native to France. It is classified as “severely endangered” as only about 200 000 speakers remain in our day.